Enjoy all the local sights with this scenic Llangollen mug. It features a large picture of Llangollen bridge on the front. 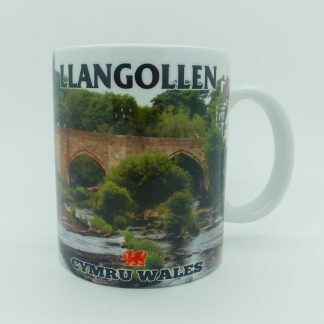 Llangollen is written in bold above the bridge, and Cymru/Wales with a small red dragon below. 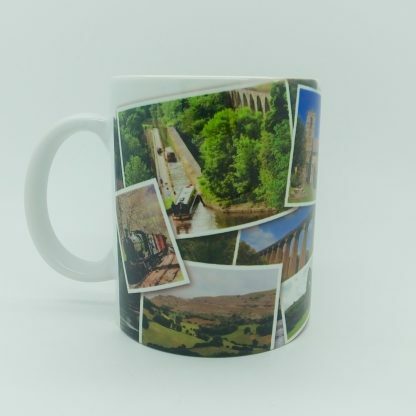 The reverse has images of Llangollen railway; the canal and famous aqueduct; St Collen’s church; Valle Cruises Abbey and the Panorama/Eglwsig rocks. 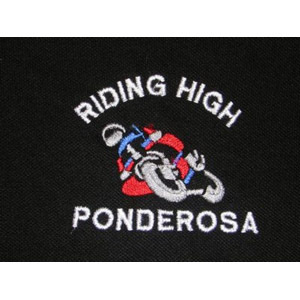 Shop In The Clouds is situated just 5miles/8km above this lovely picturesque town.